I was never a big workout person. I went to the gym once a week pre baby and worked a lot and was able to stay in shape because I was young and my metabolism was good. Since having a baby, things have changed and it’s not so easy to just be skinny anymore! I started going back to the gym through aerobics classes. It worked. I lost 10 lbs! I was back to my pre-baby weight. 3 years later, I have maintained the weight but I can’t change it and I work out all of the time. Recently I have joined a barre studio and am now going to purchase the beachbody 21 day fix. I have been debating back and forth about purchasing another beachbody program and would I use it and was it worth the cost ? I wasn’t sure if I would actually work out at home like you are supposed to. We started doing T25 in the classroom and that is a beachbody program and I really like it. I feel like along with the barre classes and T25, I am making some progress. 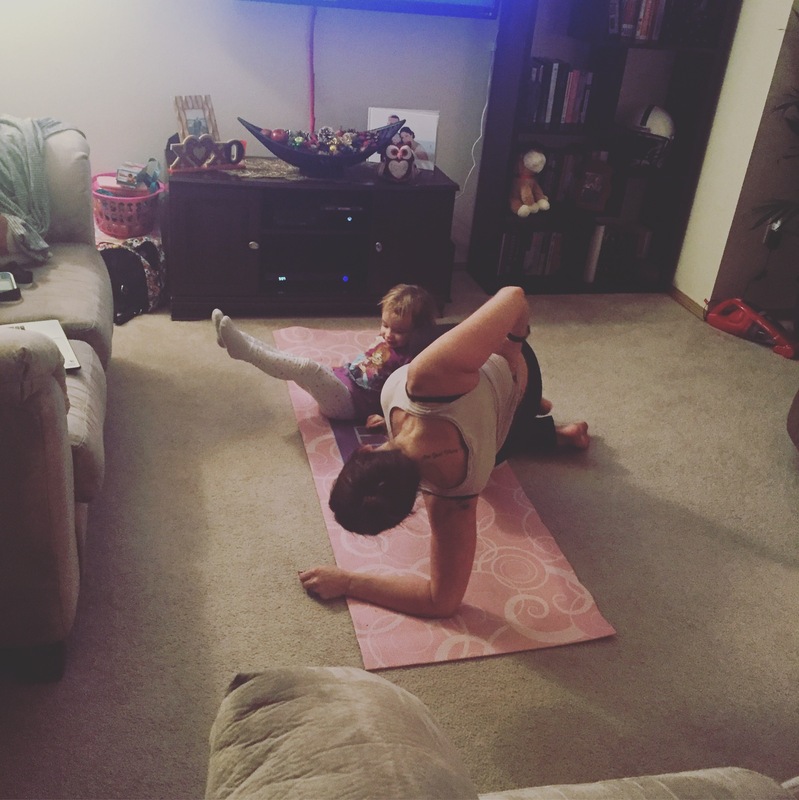 It was hard at first with Hailey because she always wanted to be on my yoga mat or would get in the way of the exercise. It just wasn’t easy to do it with all the obstacles. But at the same time, I can make it work and I will have to continue. Workout out at home benefits ? No need to go anywhere, can do it anyway, does not cost as much money as a gym membership, you can feel comfortable. I like the gym because the classes force me to work hard when I know myself and I won’t. But I can do the online classes too…. choices choices. What type of workouts do you do? How do you feel about working out at home ? What about a gym ? You tube is good for videos ! Thats awesome ! Have you looked into any of the beach body videos ?